Asbury Park's Well Wisher at our Rock Or Die VI day party. 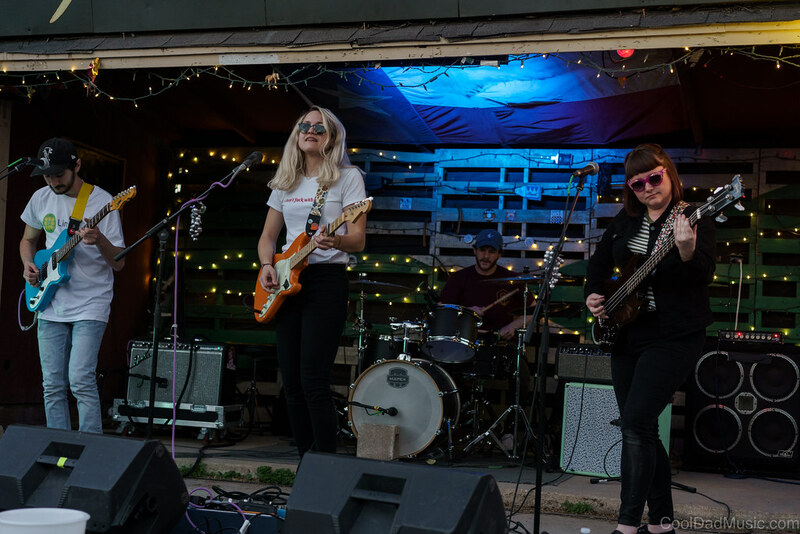 Here's a YouTube playlist featuring all of the bands booked by Little Dickman Records and CoolDad Music for the sixth installment of the Austin Rock or Die Day Party at Hard Luck Lounge. Thursday, March 14th, 2019, was the most beautiful day of our week down in Austin; and, as usual, Rock or Die was a great opportunity for some of the bands from our Tri-State Area scene to get together between harried dashes from set to set and venue to venue down in Austin. Our portion of the show featured Gustaf, Stuyedeyed, Grim Streaker, Yawn Mower, Dentist, Looms, Sharkmuffin, Well Wisher, and Old Lady. We heard great music. We enjoyed some cold drinks and family bonding. We got sunburned. Thanks to Rosi for capturing all of these. She was a one-woman video and audio wrecking crew that day, and I think her hard work paid off. All of these vids are up at the CoolDad Music YouTube Channel. Every time I watch a video on YouTube, people are asking me to subscribe; so I guess that's a thing you could do if you wanted.